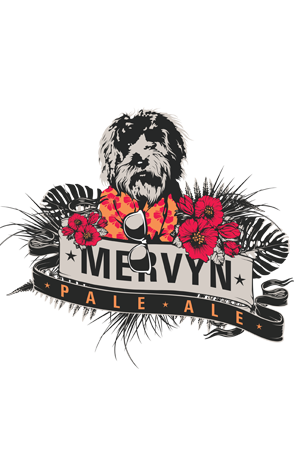 Renn Blackman decided to brew a one-off beer for summer and came up with the Mervyn Pale Ale. Clearly things are going well for him and partner Jess at their Torquay brewpub because, with more than two months of summer left to run, they've pretty much exhausted of the first batch and have a second one waiting in the wings. Anyone that's sampled Ernie or Reg (Renn's golden ale and IPA respectively) will be aware that he knows his way around playing with fruity New World hops and it appears that that's the case here too. Indeed, there's more dry-hopping at play here than in said IPA. The hops in question are American varieties El Dorado and Simcoe and the Blackman's folks tell us they're working together to "punch out aromas of candied citrus and mango." They reckon the beer is refreshing and perfect for summer. The speed at which it's disappearing from their tanks would seem proof that their assessment is spot on.